Is Trump Bonus Checks a Scam? - No $4,000 Checks A Month Here! 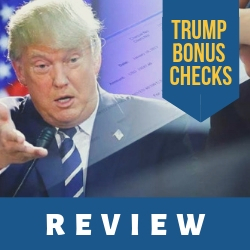 →Is Trump Bonus Checks a Scam? – No $4,000 Checks A Month Here! Is Trump Bonus Checks a Scam? – No $4,000 Checks A Month Here! Welcome to my Trump Bonus Checks review! There was one site last year that claimed that ordinary Americans could get anywhere between $60,000 and $120,000 through the US President’s program. This was called Trump Bonus Checks. But what’s the deal behind these checks and what was this page talking about here? Let me be completely transparent with you, I'm not associated with Trump Bonus Checks in any form. Instead, I'm here to reveal why this is nothing more than a money-making scheme and why it's not a good idea to join this program. Summary: Trump Bonus Checks is a dividend stock trading platform that actually funnels you into signing up for a paid newsletter called Infinite Income. Through the newsletter, you'll be able to get information about market news and stock movement. 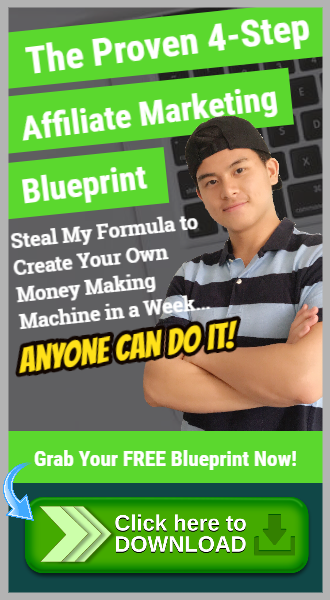 However, this program is far off from actually making you lots of money because of several red flags. On top of using fake news and editing speeches from well-known entrepreneurs (I have proof, by the way), there seems to be no proof that anyone actually made any real money. And don't even get me started on those testimonials either. What is Trump Bonus Checks? Who's Trump Bonus Checks For? Trump Bonus Checks Ugly Truths Revealed! What I Like About Trump Bonus Checks? 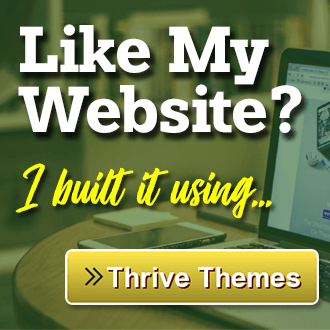 I first heard of Trump Bonus Checks through a website called Infinite Income, which is a special newsletter of sorts that provided you with different ways to earn money online. Or at least that’s what I read. The idea behind the program is based on a special loophole in US’ new tax law, and by taking advantage of this loophole, you earn $4,000 to $10,000 per month every month. Obviously, there’s something going on with these checks because its sales page is marketed towards ordinary Joes and Janes. The page also claims that you don’t need to be a financial analyst or accountant to take advantage of the offer. 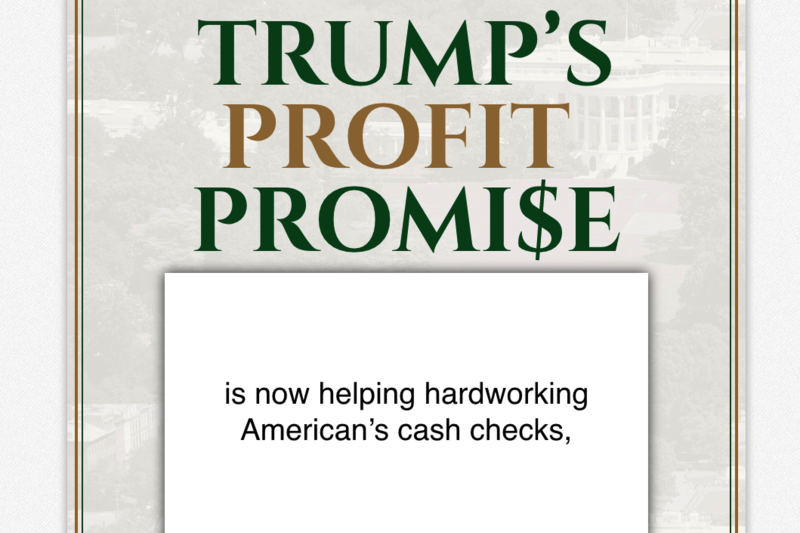 The Trump Bonus Checks’ sales page is meant for anyone gullible enough to invest in the program. And I’ve seen similar scams that went under patriotic names in the past too. Just last year, we saw a program called Liberty Checks, and after that came Freedom Checks. Many of these campaigns were targeted towards supporters of the President’s supporters who wanted to get rich quick. The sales page is filled with stories about how old people made tons of money through these so-called patriotic checks. How Much Can You Make from Trump Bonus Checks? The idea behind Trump Bonus Checks is based roughly on dividend stocks, where certain stocks pay dividends to investors. The more stocks you buy, the more dividend payments you get each quarter. Now, this is a legitimate way to make money but it doesn’t mean that Trump Bonus Checks is also legitimate. On the sales page, one of the stocks that reportedly pays out large dividends is Target. Each share of Target is valued at $78.46 at this time of writing (March 20 2019). If you buy a share, you receive $2.35 in dividends per year for each share you hold in Target. Let’s do the math here. 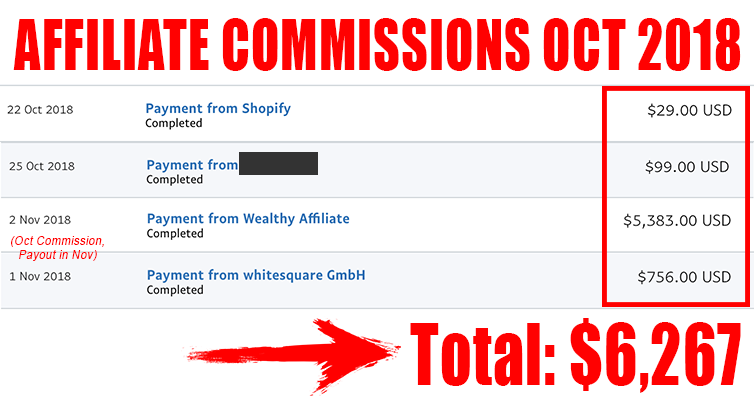 If you’re promised $5,000 to $15,000 per month promised by the sales page, then you need to acquire 6,383 shares. Then multiply that by $78.46. You’re spending $500,810 to secure $15,000 per month. And even if you’re earning $15,000 a month, you still have to recover your initial investment of $500,000 before you can make a profit. How Does Infinite Income Work? When you sign up for Trump Bonus Checks, you’re actually signing up for Infinite Income, which is an email newsletter priced at $49 to $129 per year. Infinite Income describes their newsletter as an alert that covers the biggest opportunities in disaster-proof income. You’ll then receive all instructions via email to start collecting money. They also claim that the best opportunities are fully researched and delivered straight to your inbox. What’s Included with Infinite Income? 3 Steps to Trump Checks: An eBook outlines the process mentioned above, where you buy dividend stocks and receive dividend payments every quarter. Disaster Proof Portfolio: 3 Strategies to Protect Your Money from Market Volatility Starting Today: An eBook that explains tactics you can use to protect your funds from broader market movements. Buy This, Not That: The One Stock Everyone is Raving About And What You Should Buy Instead: This eBook features specific stock tips for ordinary investors like you. 12 Issues of Infinite Income: You will receive a copy of Infinite Income delivered to your email inbox every month. Monthly Conference Calls: Gain access to monthly conference calls with the team and go through Q&A with the team. 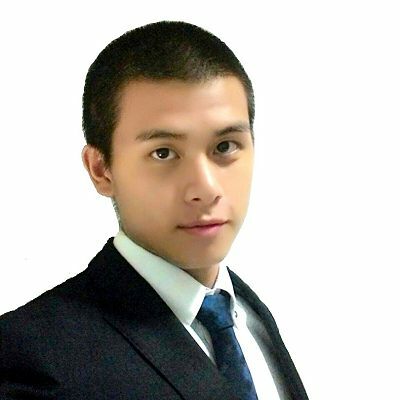 Model Portfolio: Gain access to the model portfolio, which is adjusted weekly based on team’s philosophy and market movements. Price Alert Emails: Get email alerts every time a stock moves or if there’s urgent news in the market. Trump Bonus Checks is a little bit shady for me because it takes on a misconstrued perspective of making money via dividend stocks. With that said, I don’t think this program is intended for anyone. There are better and far more legitimate programs out there if you are interested in going into stock trading. Let’s talk about the deadline. At the time the program was released, the deadline was October 16. The program claims that you need to get into the program before this date to get into the next scheduled payday. But he doesn’t really explain why though. Past October 16, another deadline was created with same rationale: get in to get the payout. The process repeats itself until the latest deadline is May 14th of this year. This is where it gets dubious because the deadline keeps getting pushed to later dates, most likely to get people to jump in. I believe that the reason why they keep on pushing the deadlines is that they haven’t had enough people to fool into buying, and that’s why they can’t get enough money out of them. Or it could be the other way around. You could have a lot of people pouring in thousands of dollars every scheduled deadline and that Trump Bonus Checks gets richer and richer every cycle. #2 - "Trump Bonus Checks" Were Never Featured On The News! 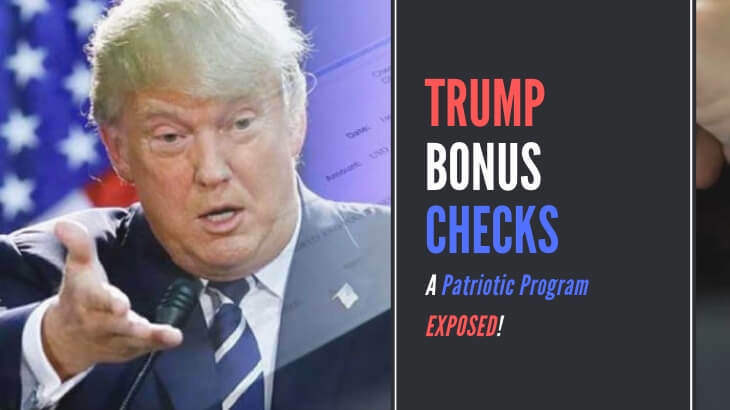 The entire teaser of the program has been geared towards the Conservative audience, so you’ll see the US President bash the news media a bit claiming that the Trump Bonus Checks were never featured on their publications. But the thing is, Trump Bonus Checks never appeared on any form of media. And I’ll show you a quick proof. I did a quick search on Fox News website, and there was no relevant release about the program. Same goes for other news outlets. If a program of this magnitude does exist and if it does work, then it would’ve been all over the news. 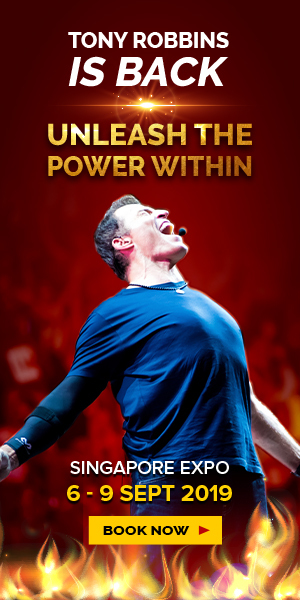 The sales page has various quotes from a lot of entrepreneurs that were taken out of context. Rather, they appear to be talking about something else and Trump Bonus Checks just omits out the important stuff out to make it sound different. Such is the case of Tim Cook, Apple’s CEO. This is the quote you’ll see on their sales page, but this was taken from a line of his different speech totally unrelated to Trump Bonus Checks. And the same goes for every quote you read on their sales page: no one is saying anything about Trump Bonus Checks. Or at least, not people like Tim Cook. #4 – Did People Earn Any Money At All? Probably the biggest takeaway from this review is the fact that people may or may not have earned money at all from Trump Bonus Checks. I don’t have any proof of either, so it’s quite difficult to assume if people did or did not earn anything. But I would be wary of the testimonials that are spread out over the sales page because these may not be as authentic or sincere as one might hope to be. Trump Bonus Checks does not inspire me to write any positive thing about it simply because there’s nothing to like about the product. And before you say anything, I have tried my best to keep this review free of political commentary to remove any form of political bias. With that said, the program’s merits are all based on what it can do and what it can provide to customers. I wouldn’t exactly call it a scam, but Trump Bonus Checks does look like some form of money-making scheme. Without further evidence, I wouldn’t assume that this one is doing anything illegal at all. However, there’s enough information about this product that makes me not want to recommend it to anyone. They’re just dabbling with a lot of fake news and fake quotes from entrepreneurs that I am suspicious of what else they’re hiding. All they are doing right now is riding on the political turmoil going on in the USA and going after the President’s supporters and everyone else.